As trends appeared to settle down and it looked like BJP was all set to win Uttar Pradesh (and it has swept the elections like the 2014 Lok Sabha elections as I write), some people started talking about kabristan-shamshan and “polarization”. Arif Mohammad Khan had joined BJP in 2004, but left the party in 2007 as he felt he was being ignored. He has not been active in politics since then. Mr. Khan too agreed that some “communal” polarization helped BJP in Uttar Pradesh, but he put the blame squarely on the “secular” parties for triggering this polarization. He had an interesting argument. He said that Hindus can’t be polarized out of thin air i.e. one can’t expect Hindu votes to consolidate due to some religious slogans or due to some religious campaigns on its own. He said that Hindu polarization can happen, and does happen, only in reaction to Muslim polarization. To support his argument, he pointed out that if Hindus could be polarized just on religious lines, parties like Jan Sangh should have done rather well in elections in newly independent India, when memories of partition were fresh. But nothing of that sort happened, as Muslims who stayed back in India were not a “vote bank” yet in Hindu eyes. He argues that the Hindu polarization started happening only after the Shah Bano case – i.e. as a reaction to what was seen as a policy of appeasement and vote bank politics. And that grew to take shape of Ram Janmbhoomi movement eventually. In the same regard, he referred to the AK Antony report – prepared by the Congress party to analyze the causes of 2014 Lok Sabha defeat – where it was pointed out that Congress’ secularism was seen as “Anti Hindu”. Even on air during discussion, he suggested, rather beseeched, the Congress representatives to go back and read that report and reflect. In December 2015, I had written about this Antony report, and what I thought was Congress’ takeaway from it. I had argued that Congress thought that perhaps it was better to “guilt trip” the Hindus (through campaigns like “rising intolerance”) rather than take any step that corrects this impression of its secularism being “Anti Hindu”. 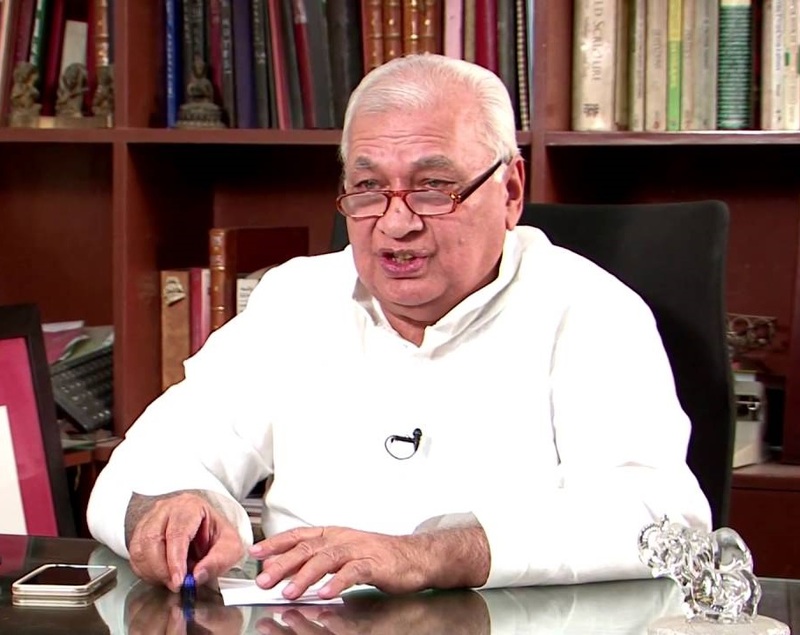 As per Arif Mohammad Khan, the moment Congress and Samajwadi Party came together, it was a signal of Muslim vote consolidation – for there is nothing else common between the supporters of the two parties except Muslim votes – and this in turn caused Hindu consolidation. Now I may tend to agree with this observation due to confirmation bias, but perhaps there is much merit to it. The first thing that came to my mind is that if Congress and Samajwadi Party coming together could signal Muslim consolidation, why did the same not happen in Bihar where everyone came together against the BJP? Maybe because in Bihar coming together of RJD-JD(U)-Congress was seen as caste consolidation rather than communal consolidation. The reservation controversy triggered by some statements by RSS leaders too made sure that in Bihar, it remained about caste rather than religion. Even though BJP did try to raise the cow slaughter issue in the last leg of elections, the polarization couldn’t be as successful, as it was not in reaction to any perceived Muslim polarization? Nonetheless, it doesn’t look like Congress is going to heed to Arif Mohammad Khan’s advice of taking Antony’s report seriously, because their “rising intolerance” strategy appeared to give them victory in Bihar. Even though they have lost Uttar Pradesh, don’t think they will even remotely link it to what Mr. Khan said. And maybe that will continue to be a good news for the BJP.